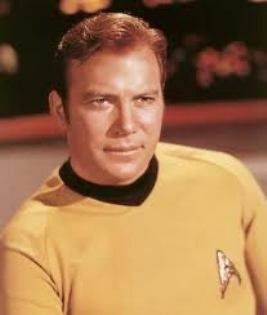 James Tiberius ("Jim") Kirk was a Human descendant of European settlers on Earth's North American continent, who pioneered the western frontiers of the United States of America in the 19th century. He was born on March 22nd, 2233, in Iowa, USA, Earth. He was the son of George and Winona Kirk. In 2246, Kirk was living on the planet Tarsus IV during a food crisis that was starving the colony, which consisted of eight thousand people. Governor Kodos, sympathetic to old eugenics philosophies and unaware that relief ships were imminent, tried to save a portion of the colony by killing four thousand colonists he deemed least desirable or able to survive. The thirteen-year-old Jim Kirk was one of only nine eyewitnesses to the massacre. Kirk first met Gary Mitchell when he was a child, in 2250. In 2250, Kirk began a five-year officer training program at Starfleet Academy in San Francisco, thanks to some assistance from a man named Mallory. He later credited his father as his inspiration for joining Starfleet. As a plebe, Kirk soon caught the attention of a boisterous, bullying Irishman named Finnegan. The upperclassman evidently hazed "Jimmy-boy" mercilessly throughout their shared time at the Academy. Fifteen years later, the Shore Leave Planet sensed Kirk's antipathy for Finnegan and produced a simulacrum that Kirk could pummel for satisfaction. As a cadet, Kirk participated in a successful peace mission to the planet Axanar, for which Starfleet Command awarded him with the Palm Leaf of Axanar Peace Mission. Kirk's academic studies introduced him to men he encountered later in his Starfleet career. Among his more prominent teachers was John Gill, a noted professor of history and cultural observer. Kirk studied the exploits, especially a victorious mission at Axanar, of Captain Garth of Izar, a famous captain who joined Kirk's pantheon of heroes. Another subject, the "Pasteur of archaeological medicine", Dr. Roger Korby, became a man Kirk wanted to meet. When he was a midshipman, Kirk began a friendship with instructor Lieutenant Ben Finney that continued into their service together aboard the USS Republic. During command training, Kirk confronted the Kobayashi Maru scenario, a simulation used to evaluate a student's reactions to a "no-win" battle and rescue situation. Kirk refused to accept his first two defeats. Before making a third attempt, he secretly reprogrammed the simulation computer, consequently becoming the only cadet in Academy history to beat the "no-win" scenario, and earning a commendation for original thinking. Kirk was commissioned as an officer in the United Federation of Planets Starfleet with the serial number SC937-0176CEC. In the mid-2250s, some years after beginning his friendship with Lieutenant Finney, he was promoted to ensign. He served aboard the Republic with his friend Lieutenant Ben Finney. When Finney made a mistake nearly catastrophic to the ship, Kirk logged the incident, which resulted in his friend being reprimanded and put to the bottom of the promotion list. In 2255, Kirk was promoted to lieutenant. As a young lieutenant, he visited Neural on his first planetary survey mission. Kirk met and befriended one of the planet's natives, the Hill man Tyree. Kirk's report described a primitive but promising culture, and Starfleet endorsed him recommending a policy of non-interference. In 2257, upon graduating from Starfleet Academy, Kirk began his service under Captain Garrovick. Kirk's first deep-space assignment was as a lieutenant aboard Garrovick's USS Farragut. As a phaser gun crew member, he was assigned to a phaser station. That year, the Farragut engaged the dikironium cloud creature at the planet Tycho IV. The creature killed Captain Garrovick and two hundred of the ship's crew. Farragut's record tapes of the event included Lieutenant Kirk insisting upon blaming himself for the disaster, citing his delay in firing the ship's phaser banks at the creature as he lost consciousness. The Farragut's executive officer disagreed, stating, "Lieutenant Kirk is a fine young officer who performed with uncommon bravery." In the late 2250s, as a lieutenant, Kirk was an instructor at the Academy. Kirk's Starfleet service through the late 2250s and early 2260s was rewarded with a rapid rise through the ranks. Prior to stardate 1312.4, he was the commander of an unnamed ship, over from which to the Enterprise senior staff, he subsequently brought Lieutenant Commander Gary Mitchell. Sometime before or in the year 2265, at thirty-two years of age, with the rank of captain, he assumed command of the Constitution-class starship USS Enterprise (NCC-1701) from Christopher Pike. Kirk commanded the Enterprise on a historic five-year mission, from 2265 to 2270, which made him a legend in space exploration. In addition to his overall mission statement – "to explore strange new worlds, to seek out new life, [etc.]" – Kirk received standing orders to investigate all quasars, and quasar-like phenomena. Kirk was initially quartered on Deck 12 in 2266, before moving to Deck 5, room "3F 121." Kirk's first major step, attempting to retrieve an extra-galactic probe in 2265, proved to be a disaster. Discovering a disaster recorder from the SS Valiant that described a catastrophic disaster following a visit to the galaxy's edge, Kirk pushed on, and encountered the galactic barrier for his first time. The Enterprise failed to breach the barrier, and barely escaped destruction. With its warp engines badly damaged, the Enterprise limped under impulse power towards the Delta Vega lithium cracking station. The barrier triggered a transformation in Kirk's helmsman and best friend Gary Mitchell, who began developing psychic powers that progressed rapidly, with a commensurate loss of his Humanity. Ignoring Spock advising him to destroy Mitchell immediately, Kirk hesitated until after Mitchell killed navigator Lee Kelso. On the surface of Delta Vega, Kirk hunted Mitchell, and managed to kill him only with the help of another officer undergoing the same transformation as Mitchell, Dr. Elizabeth Dehner. Following the tragedy, Kirk shuffled the Enterprise's command crew. Lieutenant Commander Spock, a legacy officer from the former commander, Captain Christopher Pike, remained science officer and Kirk acknowledged him as first officer. A new chief medical officer, Doctor Leonard McCoy, replaced Doctor Mark Piper. Lieutenant Commander Montgomery Scott remained chief engineer. Lieutenant Nyota Uhura became communications officer and Lieutenant Hikaru Sulu was transferred to the helm. Kirk did not settle on a regular navigator for another two years. On stardate 1512.2, Kirk made first contact with the First Federation, when the Enterprise was detained by Captain Balok and a massive spaceship under Balok's command, the Fesarius. Both captains bluffed ferociously, but Kirk's poker face held. Balok proved to be quite friendly, eager to begin a cultural exchange. On stardate 1533.6, Kirk and his crew made a brief first contact with the Thasians, an uncanny group of aliens. While interacting with Charlie Evans, a temporary visitor to the Enterprise, Kirk demonstrated prowess with judo, and deep-rooted compassion when Charlie's "teachers" wanted to return him to an isolated existence. Kirk repelled the first Romulan incursion into Federation space in over a century, on stardate 1709.2. A Romulan Bird-of-Prey equipped with a cloak and a powerful plasma torpedo system destroyed four Earth Outpost Stations along the Romulan Neutral Zone. Kirk engaged and pursued the Romulan ship, disabling it before the Romulan commander ordered his own ship's self-destruction. Kirk and his bridge crew became the first Starfleet officers to make visual contact with a Romulan, finally revealing their appearance to Starfleet. The Enterprise reached Exo III on stardate 2712.4, where Dr. Roger Korby was found after years of silence, exploring and exploiting a sophisticated android manufacturing technology – the legacy of a long-dead civilization. Korby had replaced his own damaged body, transplanting his personality into an android replica, and built himself a beautiful companion, Andrea. After exhibiting madness, the android Korby destroyed himself. On stardate 2817.6, Kirk responded to a call from Dr. Thomas Leighton, a fellow surivor and witness to the horror of Tarsus IV. Leighton suspected the leader of a traveling theater troupe, actor Anton Karidian, of being Kodos "the Executioner", a man long thought dead. After Leighton's murder and the revelation of other witnesses' deaths, Kirk convinced Anton Karidian's daughter, Lenore, to bring the acting troupe aboard the Enterprise. Attempted murders of Kirk and Enterprise crew member Kevin Riley (another survivor) led Kirk to confront Karidian (who was indeed Kodos), discovering the recent killings were the acts of his mad daughter, trying to protect her tormented aging father. When Spock kidnapped his horribly crippled former commander, Fleet Captain Christopher Pike, and commandeered the Enterprise in 2267, he inadvertently jeopardized Kirk's command. After Spock locked the ship on course to Talos IV, Kirk was a member of a tribunal that tried Spock, the other members being Pike himself, and Commodore Mendez. Spock's crimes were in violation of General Order 7 and punishable by death. Once it was revealed that Spock's ultimate goal was to allow Pike, a Starfleet hero, to live a semblance of normality under Talosian illusion, Starfleet declined to prosecute the matter. When the Enterprise passed through the Omicron Delta region, Kirk hoped to arrange for his crew (and himself) to take some badly needed shore leave. While Kirk and his landing party investigated a candidate planet to determine its suitability for that purpose, they were beset with manifestations of hidden desires they had. In fact, they had discovered the Shore Leave Planet, and advanced technologies which an ancient, enigmatic species had left behind. Kirk became the first Federation starship captain to ever face a court martial, after he was accused of causing the death of Lieutenant Commander Ben Finney, the Enterprise records officer. Kirk employed defense attorney Samuel T. Cogley, and Kirk's former flame Areel Shaw acted as prosecutor at his trial on Starbase 11, convened by Commodore Stone. Kirk was exonerated after Finney was discovered alive, having faked his death and the evidence implicating Kirk. On stardate 2124.5, a being calling himself "General Trelane (retired), the Squire of Gothos" waylaid the Enterprise. Though immensely powerful and troublesome, Trelane was revealed to be nothing more than a child of his species, and a badly behaved one at that. Kirk made first contact with the Gorn Hegemony and the Metrons on stardate 3045.6. Finding a Federation base on Cestus III destroyed and Gorn forces lying in wait, Kirk ordered the Enterprise to give chase to a Gorn starship that had been responsible for the attack, intending to destroy it. The pursuit took the two belligerents through Metron space. The Metrons, pacifistic but powerful, interrupted the engagement and declared both sides were savages. The Metrons removed Kirk and the Gorn captain from their respective ships, depositing them on a desolate planetoid where they forced the two captains to fight each other, threatening to destroy the loser's vessel. Kirk was victorious, but refused to kill the Gorn. Kirk's act of mercy impressed the Metrons, who allowed both ships to go free. In 2267, after escaping the gravity well of a black star, the Enterprise was hurled through space and time to Earth of 1969. As the Enterprise skimmed the upper atmosphere, the United States Air Force scrambled an F-104 Starfighter jet to intercept the Enterprise, now considered a UFO. The pilot, John Christopher, was brought aboard, and the plane crushed, unintentionally, in the ship's tractor beam. Kirk and Sulu beamed down to the Omaha, Nebraska military base to destroy photographic evidence of the Enterprise's appearance. A method developed to return to their own time, warping around the sun's gravity well in a slingshot maneuver, allowed Christopher's replacement before his close-encounter and the return of the Enterprise to her own time. The Enterprise discovered the SS Botany Bay, an ancient sleeper ship, on stardate 3141.9. The vessel carried a group of genetically engineered Augments from Earth's Eugenics Wars, kept alive in cryogenic freeze. Their leader, Khan Noonien Singh, seduced Enterprise historian Lieutenant Marla McGivers, revived his comrades, and attempted to steal the starship – before Kirk stopped him. Somewhat respectful of Khan's integrity and abilities, Kirk exiled Khan and his people on planet Ceti Alpha V, where the former tyrant would have a chance to "tame a world" without threatening others. On stardate 3192.1, the Enterprise was caught up in a "civilized" interplanetary war between Eminiar VII and Vendikar, whose engagements were fought only by computers, and marked "casualties" among the citizenry dutifully reported to death chambers. After the Enterprise was declared a target and the crew ordered to die, Kirk destroyed the Eminiar computers, forcing them to finally treat with their enemy – or face a war that would destroy their civilization. Kirk, Spock, and McCoy discovered the first known silicon-based lifeform, a sentient Horta matriarch, on the mining colony Janus VI on stardate 3196.1. At the start of an initial war between the Federation and the Klingon Empire, Kirk and Spock met with the Organian Council of Elders personally and attempted to convince the Organians, who were apparently primitive, to accept Federation protection. Shortly after the planet Organia was subsequently occupied by Klingons, Kirk and Spock began conducting a guerrilla war against the Klingon occupation, but Organians abandoned their false humanoid forms and intervened, forcing an end to the interstellar war and imposing the Treaty of Organia. Organians predicted that, in time, the antagonistic powers would eventually become friends. In 2267, after experiencing violent time distortions, the Enterprise discovered the source, the Guardian of Forever. McCoy, delusional from an accidental cordrazine overdose, entered the time portal, altering history to the extent that the Federation and the Enterprise no longer existed. Kirk and Spock followed McCoy, appearing in 1930 New York City on Earth. Finding shelter in exchange for work, Kirk fell in love with his beautiful, idealistic benefactor, Edith Keeler. Spock discovered that McCoy prevented history's recorded death of Keeler, forcing Kirk to restrain the doctor from saving her life again, the price for restoring the timeline. Responding to the Deneva colony having recently gone silent, Kirk found that a hive-mind of marauding neural parasites had killed his brother, George Samuel Kirk, and that the colony's remaining population was under their influence, causing mass insanity. McCoy and Spock were able to develop a method of killing the exotic creatures. Kirk diverted the Enterprise from an assigned ceremonial mission on Altair IV to Vulcan on stardate 3372.7, in order to save his first officer from the dangerous effects of his pon farr mating cycle. In the presence of the Vulcan matriarch, T'Pau, Kirk was forced to participate in Spock's marriage ceremony. On the planet Halkan, a transporter malfunction swapped the Enterprise landing party with a corresponding landing party from a parallel "mirror universe" where a savage, oppressive, Terran Empire had replaced the United Federation of Planets. A sadistic alternate version of Captain Kirk captained the ISS Enterprise, whose first officer was a ruthless, bearded Spock. A distress call led the Enterprise to the crippled USS Constellation after an ancient machine deemed a "planet killer" had nearly destroyed her. A freak accident during this encounter caused the Enterprise and Constellation to be sent into the year 2379 and a different quantum reality. After the unbalanced Commodore Matthew Decker made a suicide run with a stolen shuttlecraft, Kirk piloted the Constellation inside the machine, detonating the engines and destroying the device. Late in 2379 when Captain Picard was demoted Kirk was transferred to the Enterprise-E which was assigned to Project Full Circle to explore the Delta Quadrant. He recruited Spock back into Starfleet to be his First Officer and brought Doctor McCoy from the Enterprise with him to be the Chief Medical Officer.